A meeting of the Tamil Nadu Cabinet, chaired by Chief Minister Edappadi K. Palaniswami, on Sunday evening recommended to Governor Banwarilal Purohit that all seven life convicts in the former Prime Minister Rajiv Gandhi assassination case be released under Article 161 of the Constitution. Article 161 of the Constitution of India deals with the power of governor to give pardons,reprieve, respite, remit, suspend or commute the punishment or sentence of any person convicted of any offence against state law. 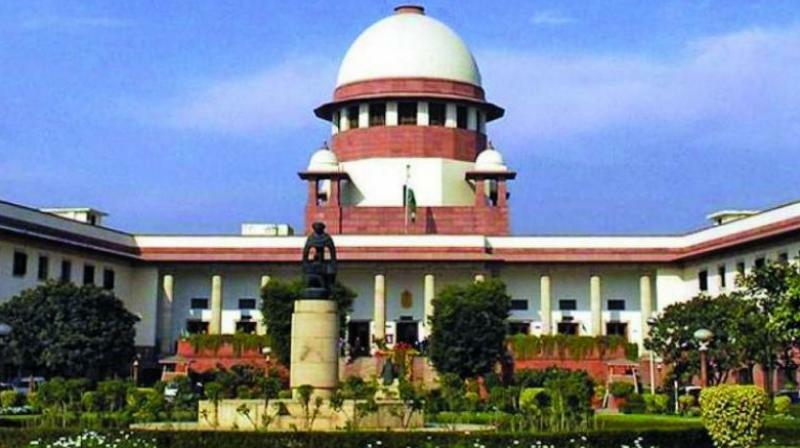 A crucial Bill that will pave the way for the re-introduction of the provision of anticipatory bail, which was revoked over 40 years ago in the State during the Emergency, has been referred for Presidential assent. Uttar Pradesh Governor Ram Naik has referred the Code of Criminal Procedure (Uttar Pradesh Amendment) Bill, 2018, to the President, a Raj Bhavan communique said on Sunday. The State Assembly had on August 30 approved the Bill that aims at restoring the provision of anticipatory bail in the State. The proposed legislation will have to be sent to the Union government for final approval, as it proposes amendments for the State in Section 438 (anticipatory bail) of CrPC. “Under the Section 438 of the CrPC, imposing conditions or riders before such bail, has been left to the discretion of the court. However, in the U.P. amendment, we have made certain riders mandatory like the accused would have to be present for interrogation whenever required by police, the accused will not threaten anyone directly or indirectly involved with the case and that the accused will not leave the country without the permission of the court,” a Home Department official said. The provision was repealed in U.P. by then Chief Minister Hemwati Nandan Bahuguna in 1976 during the Emergency, to rein in protests against the Congress. Get latest current affairs 2018 in English, educate yourself and crack all the competitive exams with The Tutors Academy. 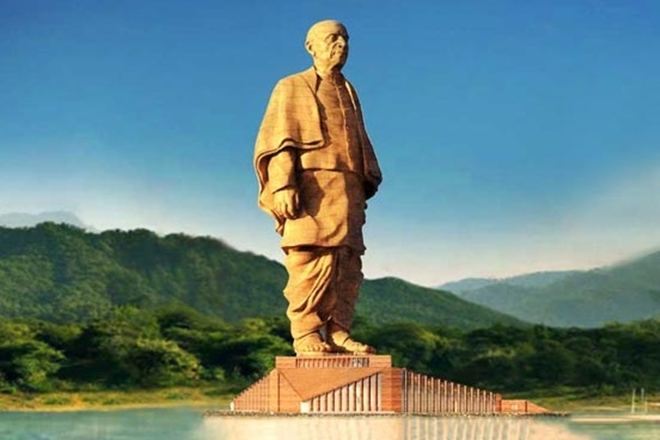 Prime Minister Narendra Modi will inaugurate a statue of Sardar Patel, described by the Gujarat government as “the world’s tallest”, on the birth anniversary of India’s first Home Minister on October 31, Chief Minister Vijay Rupani said on Sunday. This describes how psychological distance affects the way in which human beings perceive various things. Objects or events that are distant to the human mind are generally perceived to be more abstract than things that are closer to the mind. Among other things, the idea has been used to explain how modern warfare desensitises soldiers from the stigma of killing fellow human beings. As soldiers using modern warfare technology can kill fellow human beings at a comfortable distance without having to be directly exposed to the effects of killing, they are prone to construe killing as an abstract action. Official sources said the IAF was sending a batch of pilots to France by the year-end. A team has already undergone training and it will go for another round, sources said. 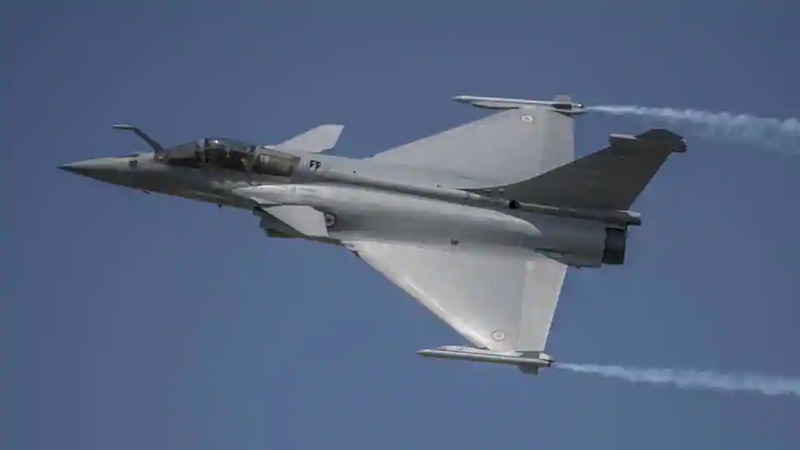 A number of IAF teams have visited France to help Dassault Aviation, the manufacturer of Rafale, incorporate India-specific enhancements on board the aircraft. India had inked an inter-governmental agreement with France in September 2016 for procurement of 36 of these jets at a cost of around ₹58,000 crore. The delivery of the jets — capable of carrying a range of potent weapons and missiles — is scheduled to begin from September 2019. Sources said the first squadron of the aircraft will be deployed at the Air Force Station in Ambala, considered one of the most strategically located bases of the IAF. The India-Pakistan border is around 220 km from there. The second squadron will be stationed at the Hasimara base in West Bengal. Officials said the government had already sanctioned around ₹400 crore to build shelters, hangars and maintenance facilities in the two bases. In July 2017, Air Chief Marshal B.S. Dhanoa, during his visit to France, flew a Rafale jet at the Saint-Dizier airbase to gain first-hand experience. With no long-range missiles on display, North Korea staged a military parade on Sunday focused on conventional arms, peace and economic development, to mark the 70th anniversary of the country’s founding. Line upon line of goose-stepping soldiers and columns of tanks shook the ground before giving way to chanting crowds waving flags and flowers as they passed a review stand where North Korean leader Kim Jong-un sat with a special envoy from China, as well as other visiting foreigners. ONGC Videsh Ltd. (OVL) has rejected Venezuela’s offer for additional stake in an oilfield as it fears the Latin American nation may use it as an excuse to not pay $449 million of dues, a top official said. State oil firm Petroleos de Venezuela SA had last year offered a 9% stake in the San Cristobal field to OVL. OVL already holds a 40% stake in the field, which produces about 18,000 barrels of oil per day. Bamboo is the fastest-growing plant and there is no recurring expense incurred on irrigation, fertilizers, weedicides and pesticides. Harvesting can start from the fifth year and an average income of ₹1 lakh can be expected from an acre from the sixth year onwards for a period of 30 to 40 years. Many progressive farmers in Kerala and Karnataka try their luck in bamboo cultivation with the hope of securing sustainable income. 12. Why did SEBI’s new norms spook FPIs? In April, the Securities and Exchange Board of India (SEBI) had issued a circular barring Resident Indians (RIs), Non Resident Indians (NRIs), Persons of Indian Origin (PIOs) and Overseas Citizens of India (OCIs) from managing foreign funds. The Asset Managers’ Roundtable of India (AMRI) said the circular had ended up placing a blanket ban on investments through funds managed by overseas citizens of India (OCIs), PIOs, NRIs and warned of a potential outflow of $75 billion from the Indian equity markets over the issue. It said RIs, NRIs, PIOs and OICs cannot be the beneficial owner (BO) of a fund investing in India. A BO is one who directly or indirectly derives the benefits of ownership. What has the panel suggested? The panel, headed by former RBI Deputy Governor H.R. Khan suggested NRIs, OCIs and RIs be allowed to manage foreign funds that invest in India subject to certain holding limits. Second, a single NRI, OCI or RI cannot hold more than 25% of the assets under management of the foreign fund and the aggregate holding of such entities has to be below 50%. The Centre had told SEBI that it need not use the BO definition laid down under Prevention of Money Laundering Act. SEBI has been asked to consult the Centre to evolve a more objective criteria for defining high-risk jurisdictions. SEBI has given time till September 17 for public comments on the panel’s recommendations. It may be that Naomi Osaka’s 6-2, 6-4 win over Serena Williams at the U.S. Open would be remembered more for what she didn’t do, than what she did. The story behind her win may be that of the penalties her opponent received. The narrative may be that of how tennis’ reigning Queen was denied her 24th Major title, robbing of its eternal dream yet again. Serena Williams accused chair umpire Carlos Ramos of sexism during her 6-2, 6-4 loss against Naomi Osaka in the final. She received a code violation for coaching, a penalty point for racquet abuse and a game penalty for calling the umpire a “liar” and a “thief”. Sameer Verma of India served another reminder of his growing reputation with an impressive 21-15, 21-18 win over Korean Soong Joo Ven in the 37-minute men’s singles final of the Hyderabad Open badminton championship at Gachibowli Indoor Stadium here on Sunday. Men: Sameer Verma (Ind) bt Soong Joo Ven (Mas) 21-15, 21-18. Doubles: R. Satwiksairaj &Chirag Shetty (Ind) bt Akbar Bintang Cahyono & Moh Reza Isfahani (Ina) 21-16, 21-14. Women: Kim Ga Eun (Kor) bt Deng Joy Xuan (Hkg) 21-9, 18-21, 21-17. Doubles: Ng Tsz Yau & Yuen Sin Ying (Hkg) bt Vivian Hoo & Yap Cheng Wen (Mas) 21-18, 16-21, 21-14. Mixed doubles: Akbar Bintang Cahyono & Winny Oktavina Kandow (Ina) bt Pranaav J. Chopra & N. Sikki Reddy (Ind) 15-21, 21-19, 25-23. Continuing his good run, Asian Games champion Arpinder Singh won the bronze in the men’s triple jump in the IAAF Continental Cup athletics at Ostrava, Czech Republic, on Sunday evening. American Christian Taylor, the Olympic and World champion, won the gold with a 17.59m opening effort while Burkina Faso’s Hughes Fabrice Zango won the silver with 17.02 while Arpinder’s first round 16.59 got him the bronze. Indian Oil Corporation Ltd. scored a thumping 198-run win over Cricket Association of Puducherry in the final of the ACA Dr. Vizzy Trophy one-day cricket tournament at Dr. P.V.G. Raju-ACA Sports Complex in Vizianagaram here on Sunday. Meaning – Keep under control; restrain. Get the latest(The Hindu) Current Affairs 2018 in English and prepare for all the competitive exams with The Tutors Academy.